In the summer of 1862, a group of young artists led by the passionate and talented Edward Radcliffe descends upon Birchwood Manor on the banks of the Upper Thames. Their plan: to spend a secluded summer month in a haze of inspiration and creativity. But by the time their stay is over, one woman has been shot dead whilst another has disappeared; a priceless heirloom is missing; and Edward Radcliffe's life is in ruins. Over one hundred and fifty years later, Elodie Winslow, a young archivist in London, uncovers a leather satchel containing two seemingly unrelated items: a sepia photograph of an arresting-looking woman in Victorian clothing, and an artists sketchbook containing the drawing of a twin-gabled house on the bend of a river. Although I only discovered her books a few years ago now, I would without a doubt say that Kate Morton is a favourite author of mine; I steadily worked through her backlist books, and having adored those, I would say my anticipation to read The Clockmaker's Daughter was quite high... But it didn't quite meet the same level of feelings as her other novels for me. I did enjoy The Clockmaker's Daughter, however I didn't love it like many of her other books. Kate Morton definitely has a writing stamp - being well known for historical fiction infused with a mystery, with interwoven timelines of past & present. If you look over her other books, you can see underlying themes and styles throughout them, understandably so (I'm not knocking that - I actually like when an author has a writing stamp; going in knowing what you're getting). 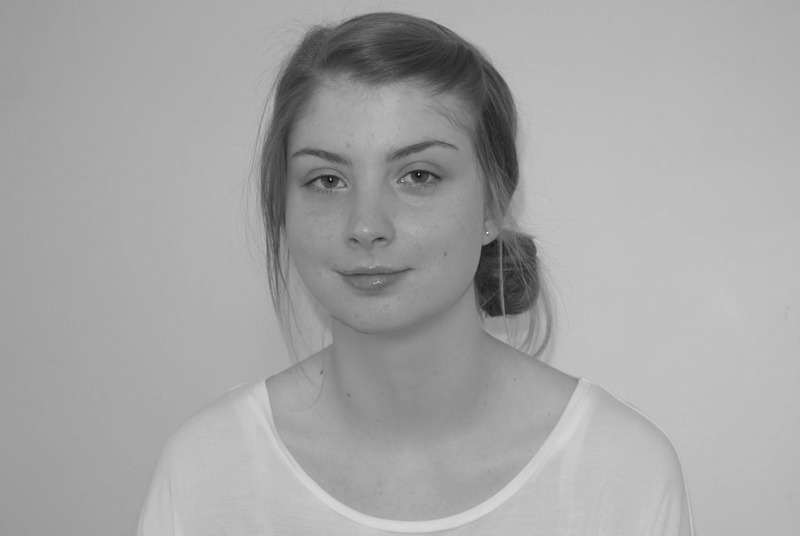 The stamp can be found in The Clockmaker's Daughter, but she has also switched things up a little. Initially I found it difficult to get into The Clockmaker's Daughter, however after the first 150(ish) pages (part 1), I soon found myself flying through and enthralled in the unfolding story - which is complex. The Clockmaker's Daughter isn't the kind of book you just fall into, or one I would deem an easy read; you need to remember the characters (of which there are many), follow along closely, and pick up on the little things, in order to fully immerse yourself in the story. I enjoyed the plot of the book, and the way in which everything was woven together, however some of the characters fell a bit flat, with the narrative of Birdie and the pull of Birchwood Manor being the main hold for me throughout. As well as the characters, I wasn't a fan of the ending of this book; I wouldn't say it was done in the style of Kate Morton's other books - everything tidied up neatly in the end. I feel like each story link had an ending, but not the depth they deserved; some of the conclusions left me pondering. There were definitely positives and negatives for me, but I do believe they balanced themselves out given that overall I would say I had a good reading experience with this book. I'm happy to have read The Clockmaker's Daughter, however it isn't a Kate Morton title I'd recommend for first time readers of her writing. After years spent living on the run, Samuel Hawley moves with his teenage daughter, Loo, to Olympus, Massachusetts. There, in his late wife's hometown, Hawley finds word as a fisherman, while Loo struggles to fit in at school and grows curious about her mother's mysterious death. Haunting them both are twelve scars Hawley carries on his body, from twelve bullets in his criminal past; a past that eventually spills over into his daughter's present, until together they must face a reckoning yet to come. This father-daughter epic weaves back and forth through time and across America, from Alaska to the Adirondacks. 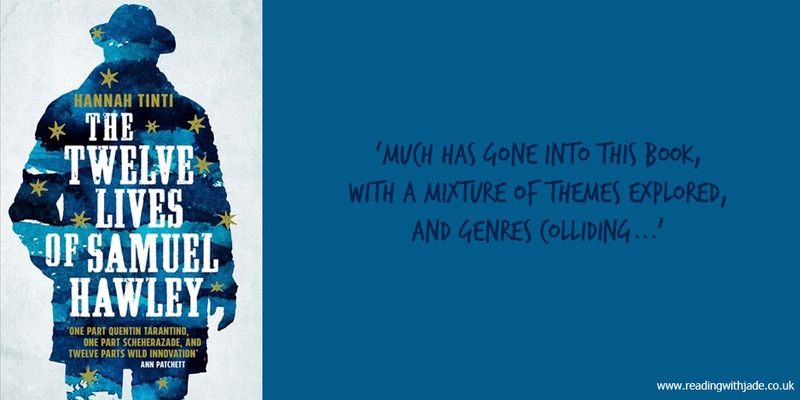 Both a coming-of-age novel and literary thriller, The Twelve Lives of Samuel Hawley explores what it means to be a hero, and the cost we pay to protect the people we love most. I love reading books with familial relationships at the centre, and that's what prompted me to pick up The Twelve Lives of Samuel Hawley - I knew very little about this book going in, having only come across the book when another blogger shared it in their favourites of the year post. The story follows the relationship of Samuel Hawley and his daughter Loo, who have lived an unsettled life, but have now set up long term upon us meeting them. The two of them are trying to make a place for themselves in the hometown of Loo's mum (& in turn Samuel's wife), who died when she was very young. Alongside the present day narrative we also have alternating chapters that allow us to learn more about Samuel - how he came to be a man marked with twelve bullet wound scars, the reason why they have lived an unsettled life, and also how he came to be a single father. Without a doubt, Samuel Hawley is a flawed man, and yet as a reader I came to care for him and felt invested in his life. Whilst a man with faults, Samuel's relationship with Loo, was interesting to watch unfold as you could see he struggled (& thrived) at protecting and providing for his daughter; I like that the author explored this kind of family dynamic, as well as touching upon being a product of your environment. As we look into Samuel's past, we also follow Loo as she makes her journey into teenage years, and has her own set of trials & tribulations. There is growth as a person, self development, love for another, and also unresolved mysteries surrounding her childhood. The two storylines meet at the end, with Samuel and Loo truly coming together with a little more understanding also. Hannah Tinti concluded the themes in this book well, however the plot itself was kind of open ended. Often times I don't like when a book is left open for interpretation, however I felt it worked well for The Twelve Lives of Samuel Hawley. Much has gone into this book, with a mixture of themes explored, and genres colliding, however at the heart of The Twelve Lives of Samuel Hawley you'll find love, acceptance, and belonging. The woman in these startlingly original stories are all of us: the women who befriend us, the women who encourage us, the women who makes us brave. 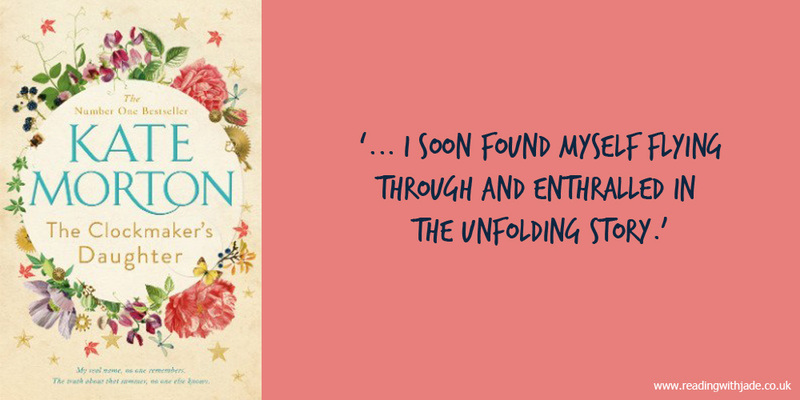 From The Woman Who Slowly Disappeared to The Woman Who Was Kept on the Shelf and The Woman Who Returned and Exchanged her Husband, discover thirty touching, often hilarious, stories and meet thirty very different women. Each discovers her strength; each realises she holds the power to make a change. Short story collections always make for interesting read - with some stories liked and others not so much - but hopefully something for everyone found within: I found this to be very much the case with Cecelia Ahern's newest release, Roar. Within Roar you'll find thirty stories highlighting prevalent matters that women face in day to day life - these are all told in a creative way, with magical realism running throughout, and all of which are handled in a sensitive manner, even when the story itself is humorous in nature. The collection as whole is all about empowering & lifting women - which the stories themselves definitely put across. There are a variety of themes that run through the book, and also diversity in the characters too. Speaking of characters, each story has a different woman front and centre, however she has no name; being referred to as 'the woman'. I think this was a brave writing tactic as it could go one of two ways - you'd feel connected to the character as you can put yourself in their shoes more easily, or you'd feel disconnected from the character as she hasn't got the depth & substance we'd be used to in a book. Personally, I found the focal woman of a story having no name didn't impact my reading experience in a negative way. Naturally there were some stories I enjoyed more than others, with a few of my favourites including: The Woman Who Grew Wings, The Woman Who Ate Photographs, The Woman Who Returned and Exchanged Her Husband, The Woman Who Wore Her Heart on Her Sleeve, The Woman Who Guarded Gonads, and The Woman Who Smiled. 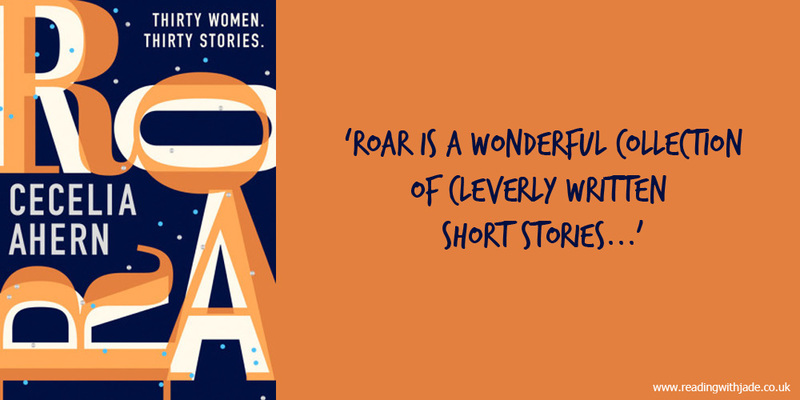 Roar is a wonderful collection of cleverly written short stories that you can dip in & out of (I read my copy throughout the month of January), and would make a good introduction to Cecelia Ahern's writing style. I totally agree with The Twelve Lives of Samuel Hawley having some great messages within - good to hear you enjoyed it also. I've had The Twelve Lives on my TBR for awhile. I'm glad to know you enjoyed it!! I hope you enjoy The Twelve Lives of Samuel Hawley, if and when, you get to reading it Brandie. Two of these are new to me but I have the Kate Morton on audio. From what you say I think that's definitely the way to go. I'm much more patient with slow starts in audio versus reading. Kate Morton has become a favorite of mine too so I'm looking forward to this one! Interesting regarding your audio thoughts - I would struggle to keep up with all the characters on audio. Ha! I hope you enjoy The Clockmaker's Daughter; it definitely has lovely qualities to it. Thank you, Diane. I hope you have a positive reading experience with The Clockmaker's Daughter! I just read your review of The Clockmaker's Daughter, and agree with a lot of your thoughts. Also, we share The Forgotten Garden as favourite Kate Morton title. I felt the same about Clockmaker! It just missed the mark for me compared to her other books. Supernatural is not her strong suit and there was just too much going on, IMO. I was definitely left a little disappointed, having thoroughly enjoyed working through her other books to be update with her releases. It wouldn't deter me from future Kate Morton titles though. Oh, I’ll still read anything new she writes too! It's so interesting to see which books are your favorites when you're reading through an author's entire collection of works. I know I've read an authors's more recent books only to be surprised because I liked their debut better. Have you read all of Kate Morton's books now? Yes, I've read all of Kate Morton's books now, with The Forgotten Garden & The Secret Keeper being my favourites (both of which I read last year). So happy to hear The Clockmaker's Daughter is good! I'm getting a copy soon, and I'm excited to read it. The cover is stunning. I also enjoyed Roar. It wasn't my favourite Ahern book, but still worth a read. I also love the cover of The Clockmaker's Daughter. Also, agree with you on the Ahern book - not my favourite, but quite enjoyed... It was interesting to read a collection of short stories by her, when used to novels. The Clockmaker's Daughter is on my TBR. I have heard I should start with a different book from her though. I love that cover too. If you haven't yet read any Kate Morton, then yes, I'd agree with starting with a different book of hers - The Secret Keeper & The Forgotten Garden are best, in my opinion. I love the cover also!